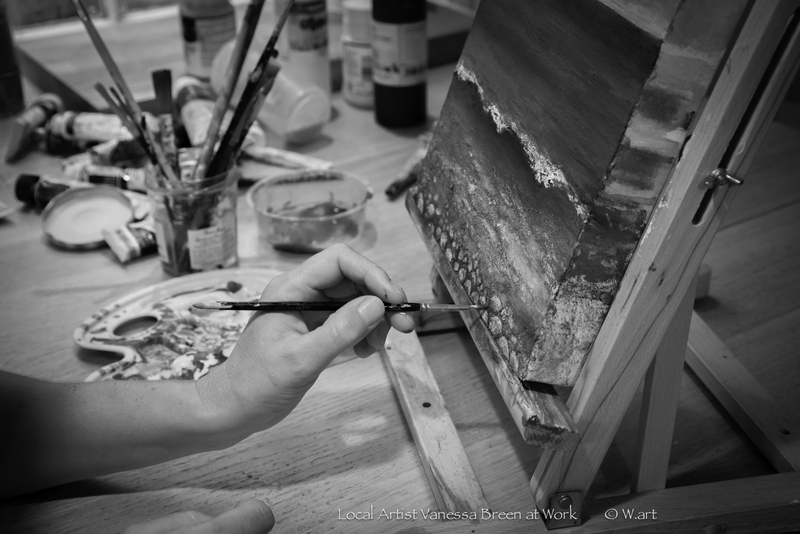 ” The perfect place to paint and capture the sea’s beauty and ever changing mood”. 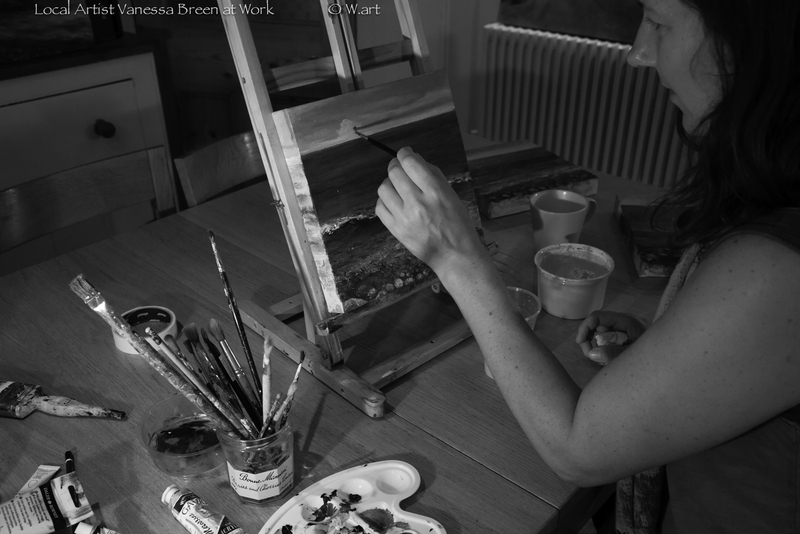 How can we best describe Vanessa… chilled, funny and a lovely lady, passionate about her art and keen to inspire others to explore their artistic ideas. We photographed her at home and on Worthing Beach outside Hut 42. Nature influences her work, a rich depth of colour and a tactile surface is created by building up layers in various media. 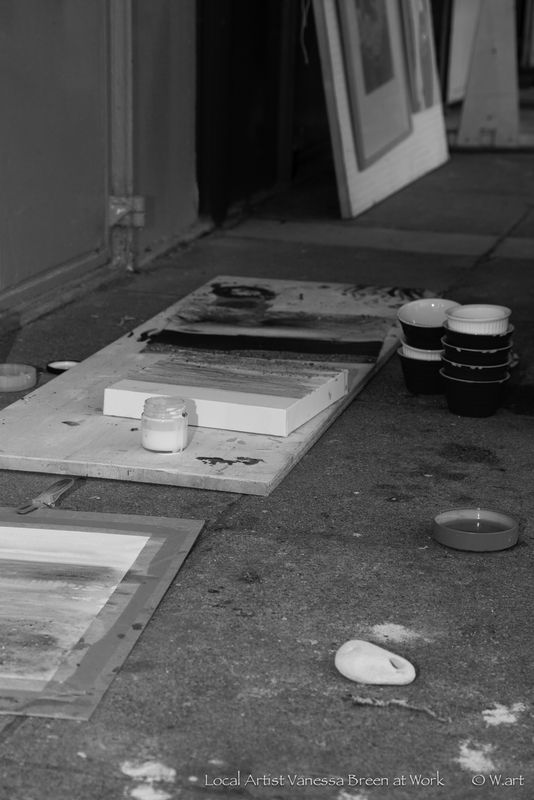 She enjoys the commissioning process, working closely with clients to meet their expectations, whether it’s to create a unique painting tailored to the client’s interior or to design and produce innovative artworks for commercial spaces. She also offers a professional installation service. All positive, had a great art teacher, thank you Mrs Roberts. What would your school report have said about your art. I left school and went straight to art-college, 2 years studying graphic design; I then opted for an Art Foundation course rather than an advertising HND. It was the best move I made; I loved the course and went onto Staffordshire Uni to specialize in glass as part of a Design degree. As for painting, I’m self-taught. LIFE…..brilliant friends and family, travelling, scuba diving, architecture, sky, sea, landscapes…..etc. I’m easily inspired. Hundertwasser, Klimt, Hockney, Gaudi to name a few of many. One of them is “the Kiss” by Gustav Klimt, seeing the original in Vienna was stunning. My art – I don’t have a favourite, just some I love more than others. 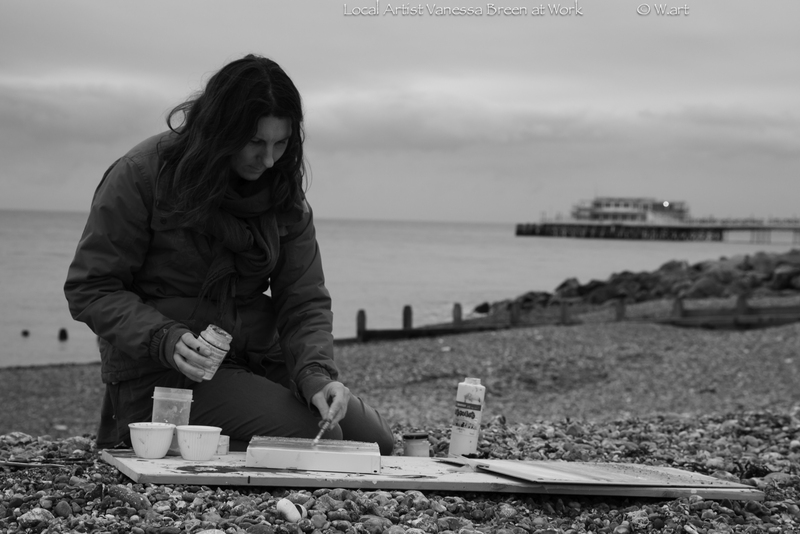 Moving to Worthing and meeting/working with so many inspiring artists, has given me the opportunity to sell my work in galleries and exhibitions. 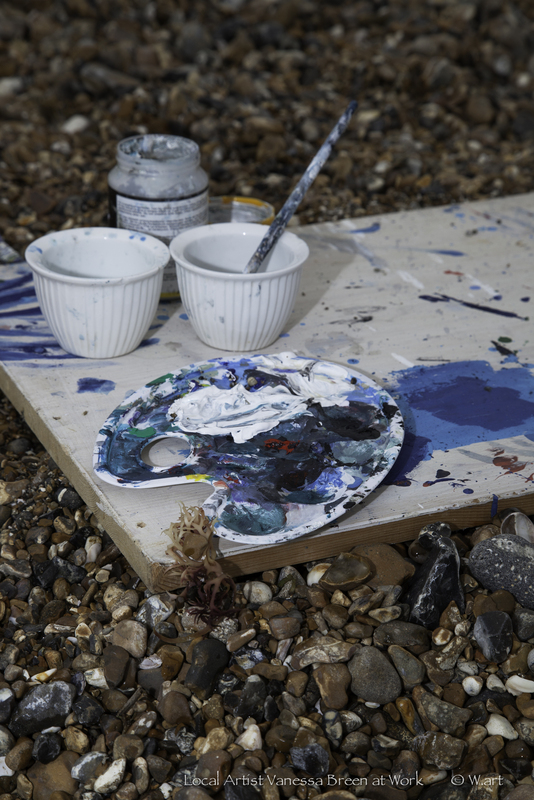 Setting up Creative Waves with Nadia Chalk and turning our ideas into a reality, especially Art on the Pier. Live your dreams because life is short. ENJOY what you do, experiment and don’t give up, because you’ll never know what would have happened. 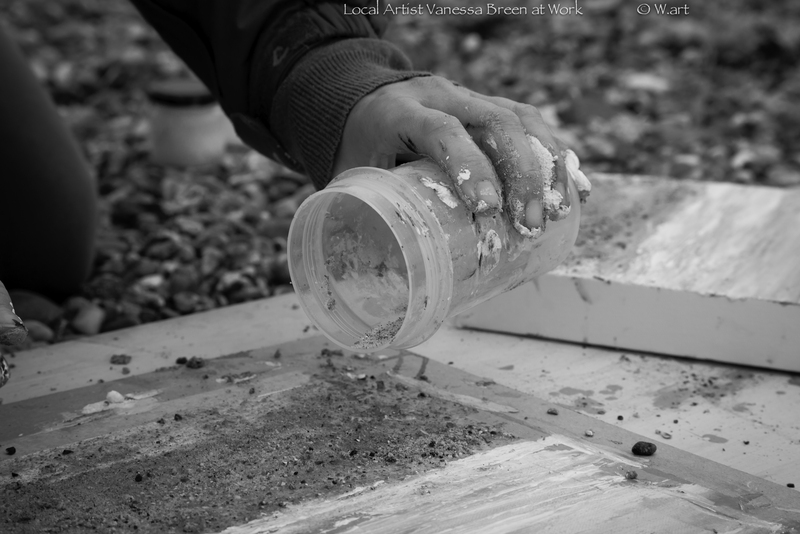 I splash a wash of colour to get rid of the blank canvas, and then start….. I never know! I try and stop but I love tweaking little areas, sometimes this improves the painting and sometimes I wish I’d stopped an hour ago. Yes, love it, at the moment I’ve been painting to Daughter, Massive Attack & Goldfrapp. I love using acrylic paints, their quick drying properties mean I can quickly build up the surface combining colour washes with other materials. My left hand and a broken bracelet: I’m left handed and in my early twenties I had an accident where I fell on broken glass and lacerated my left wrist. A couple of weeks before the accident, I made a beaded bracelet which luckily prevented more damage being done to my hand. I’ll see where the future takes me, I don’t have a set plan, but I will live my dreams. Putting it to close to the fire!!! Thank you Vanessa the pleasure was all ours, fascinating, and thank you for a lovely lunch, home grown tomatoes on toast yum! 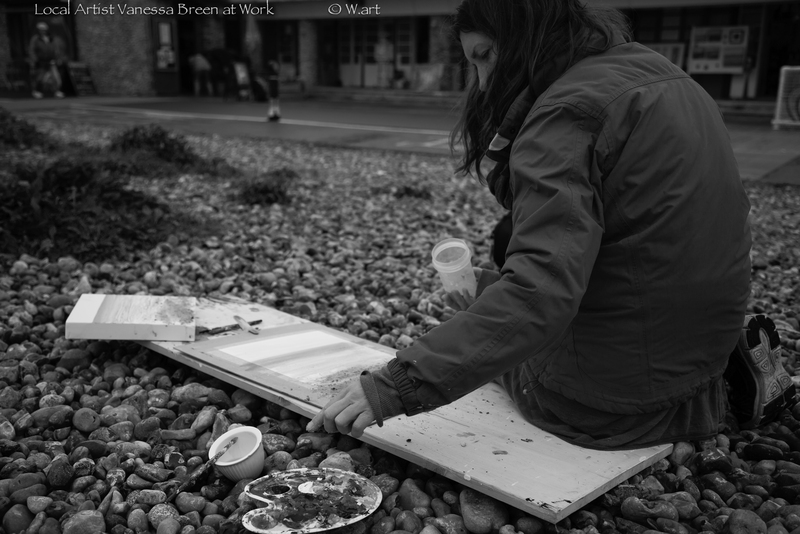 To find out more about Vanessa and her work visit these links….